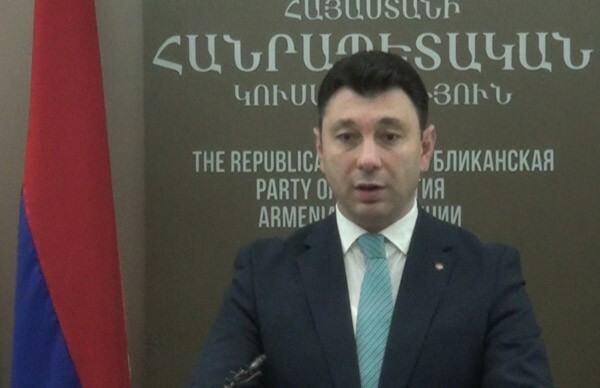 Vice President of the National Assembly of the Republic of Armenia, RPA Spokesman Eduard Sharmazanov responded to the statement of the Turkish Prime Minister BinaliYildirim that the UN and OSCE documents show that the events of Khojalu are a genocide committed by Armenians against Azerbaijan: “There is no international organization or structure in the world, whether it is the UN, the PACE or the OSCE that has adopted a document in which Armenia is accused of a “massacre”. It's a blatant lie, there is no such thing,” - Sharmazanov stressed. According to him, this is just another Turkish-Azerbaijani fraud: “There is no international organization that has accepted any “massacre” committed by Armenia or Artsakh. And Khojalu has been discussed for many times. Theirpresident AyazMutalibov has spoken about it. It was merely the result of domestic political struggle, where Azerbaijan's opposition to that time hit Mutalibov’s Achilles heel, after which Mutalibov gave an interview. It’s on the Internet and there is nothing secret here,” - the RPA Spokesman said. Sharmazanov underlined that Turkey’s statements that they will always support Azerbaijan prove once again the position of the Armenian side that Turkey has nothing to do with the Artsakh issue because that country supports Azerbaijan’s criminal policy. He also touched upon IlhamAliyev’s statement that the international community should apply sanctions against Armenia.